Bankies Boss McAnespie made five changes from the side that lost in midweek to Petershill in a line up that looks about as strong as he has available to him. Shelvey and Darroch were the key men returning to the side, with Nicky Little playing in the advanced midfield role that has reaped rewards in the past. Asghar and Waters also returned whilst Ross Alexander retained his place. The match started at a frantic pace, but it took almost ten minutes before either side could manage a shot on goal. A nice passing move on the left led to Liam Rowan unleashing a cannonball of ashot that was superbly turned away for a corner by Strain on his left hand side. The Buffs responded when Nisbet beat Andy Paterson on the right wing, but as bore down on goal he was stopped in his tracks with a superb siding tackle by Rowan. The home side had most of the ball, but it was fairly end to end stuff. Nicky Little almost gave the Bankies the lead on 20 minutes when Strain made a mess of a clearance after Shelvey had nodded the ball forward. Litltle tried to shoot first time, but didn’t connect very well, and the grateful keeper was able to recover from his error. Minutes later, Kilwinning had the best chance of the match so far. A cross was swung into the box from the right hand side. Bankies keeper Waters appeared to pull out of the challenge and the ball broke to Lewis at the edge of the box. The midfielder fired in a right footed shot that skimmed off the outside of the post. Shelvey was proving to be a real pest, and he won a corner on the right had side. McClair flighted the ball in which was met by the head of Little, but his effort went over the bar as he came under pressure. The Bankies forward was not to be denied and he gave the Bankies the lead on the half hour mark. Shelvey was the trouble maker again as he forced a defender to mis-cue a headed clearance onto the path of Nicky Little who drilled it home off of the keeper’s right hand post. Five minutes later and Little should have grabbed a second. Alexander won the ball with a tremendous tackle in midfield. Shlevey prodded the loose ball beyond the Buffs defence to Little who was through on Strain. A Kilwinning defender made an almighty effort to get back and he succeeded as Little tried to go round him and ended up sclaffing his shot straight at the keeper. Kilwinning finished the half the stronger of the two sides and had two or three half chances. The best of which fell for Boylan who hit a dipping shot that was well off target. The Bankies knew that Kilwinning would go all out for the equaliser after the break and they did not disappoint. For the first fifteen minutes the Bankies goal was under siege, and some last minute defending was required to keep the home side at bay. There were two occasions when the ball was hacked away desperately, but the defence was marshalled superbly by Darroch who seemed to win everything. It looked that a goal might come for the home side through sheer persistence. 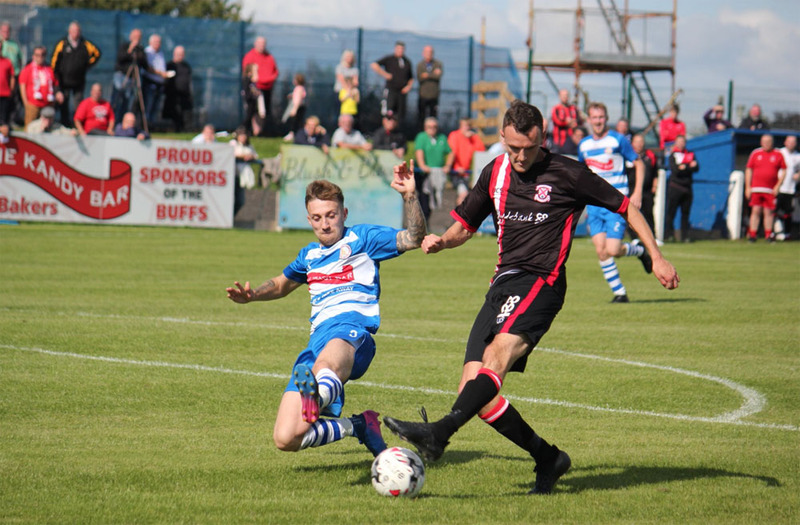 The Bankies were sitting too deep and looked a bit out of puff at this stage, however Kilwinning had failed to force Waters into any meaningful saves, and after surviving the best of what they had to offer the Bankies started creating real chances at the other end. With 64 minutes on the clock, the ball was dinked through to Alexander in the 18 yard box. He managed to get a shot away that was pushed to the side by Strain. McClair picked up the loose ball and laid it back for Shelvey, who from only ten yards out will be disappointed at cracking the ball over the bar. This gave the Bankies the impetus they needed and seven minutes later it was 2-0. Nicky Little left the full back for dead on the right wing, and then pulled the ball across the six yard box for Cammy McClair. The Bankies wingers shot looked like it was going slightly off target before it ricocheted off Ross Alexander and deflected into the net at the back post. This killed the game, and any attacks from Kilwinning were of the desperate nature. There were shots from ridiculous distances that were of no trouble to the Bankies defence. If anything, Clydebank could have recorded a more handsome victory as Cammy McClair rattled a right footed shot off the bar and one comedic moment from Sean Higgins. Nicky Little showed great skill in the six yard box, and found Higgins in front of goal. With the keeper out of the picture, the ball somehow managed to not go in the net with Bankies striker ending up flat on his face. The Bankies players can enjoy their night as this was easily the best performance of the season. 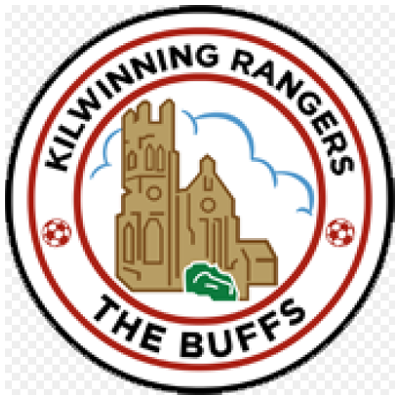 There were no failures in the side against a much fancied Kilwinning side that weren’t too far away from the league title last season. 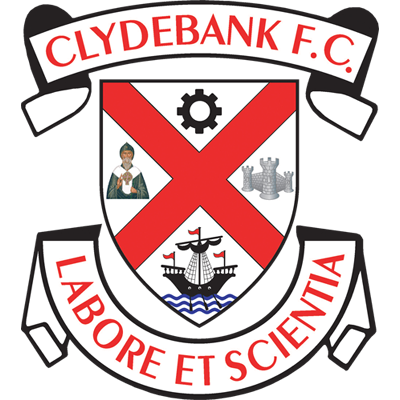 Clydebank only managed one away victory in the league last term and have now recorded three in their first four this year. 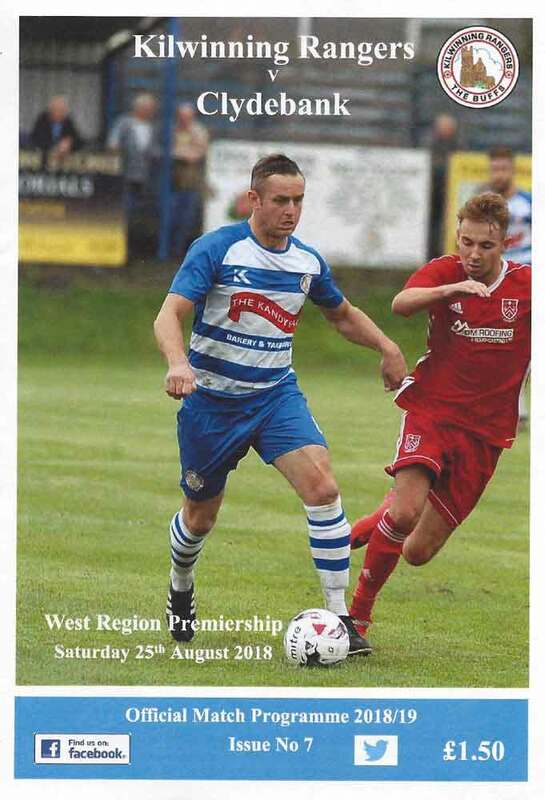 The improvement is clear to see on this time last season when Kilwinning won the corresponding fixture 4-2. Things are by no means perfect, but certainly the Bankies will be a match for anybody on their day.